In my quest for the best sounding in-ear monitors or IEMs out there, I came across with a company called Unique Melody. The company has been providing custom designed IEMs to audiophiles, music lovers, artist, producers and sound engineers. What I have here is the Unique Melody Miracle V2 in-ear monitor powered with 6 balanced armature drivers. Like I said in my previous IEM reviews, I love the sound of balanced armature drivers compared to a typical earphone. However, not all BA-driven IEMs sound the same. It depends on the number of drivers inside and most specially the tuning. Well in worst case scenario, there are BA-driven IEMs that doesn’t sound really good at all, regardless of the number of BAs inside. 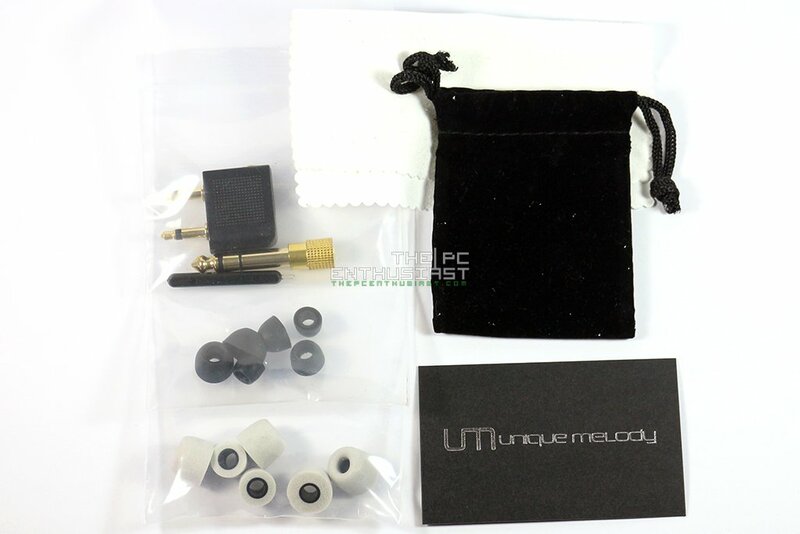 The good news is you won’t find those kinds of IEMs from Unique Melody’s lineup. I haven’t tried the first version of the Miracle, so I’ll just focus on the Miracle V2 instead. Each of Unique Melody’s IEMs has different configuration and sound characteristics or signature. If you’re in the market looking for the right sound for your ear, stick around and continue reading our UM Miracle V2 review below. This could be the IEM for your ears. 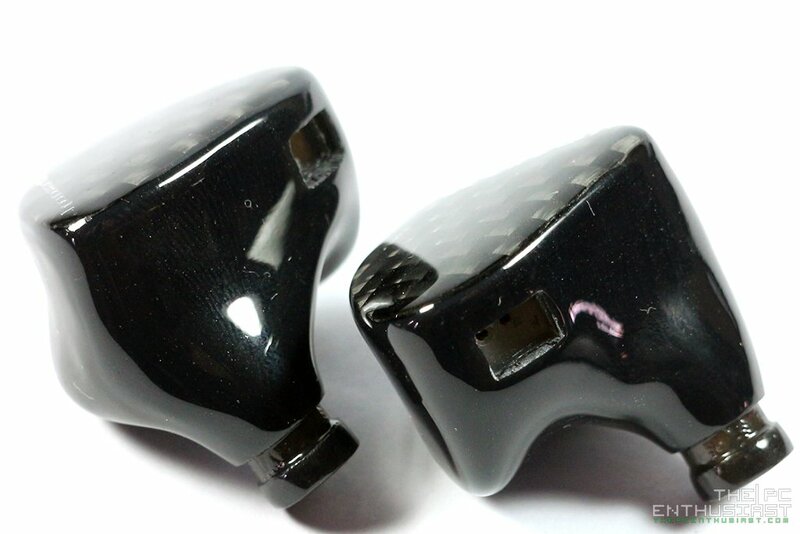 Unique Melody offers custom designed in-ear monitors that are forged for your ears only. 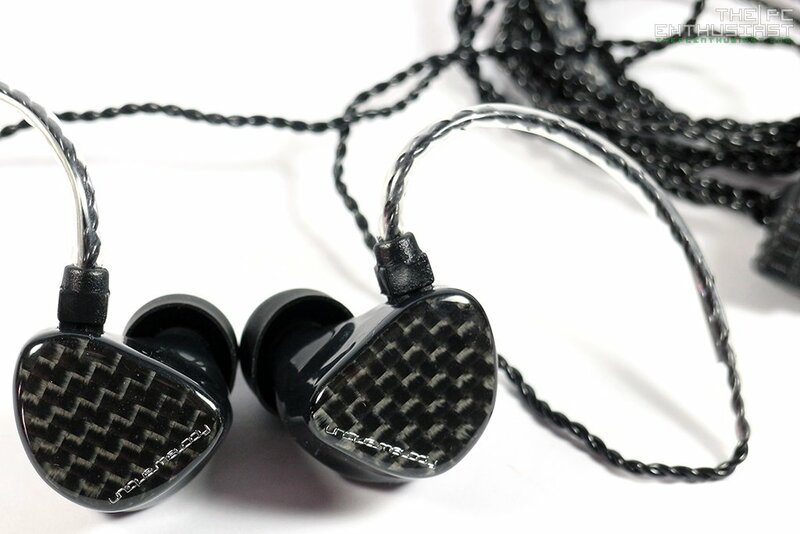 But they also offer universal design in-ear monitors for those who don’t want a custom designed. The Miracle V2 I have here is a universal one (meaning anyone can use it), and it’s “hand crafted with love”! The Miracle V2 is the second version of the company’s flagship IEM. 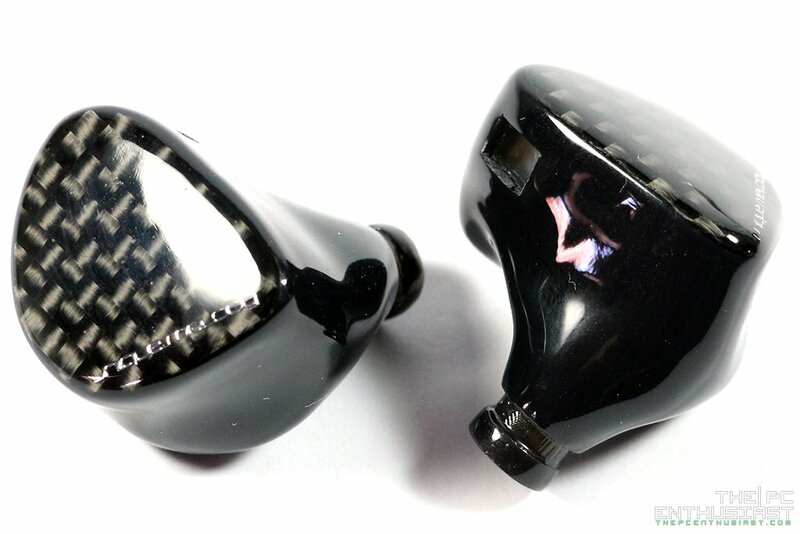 Actually, it’s one of their flagship IEMs offering a reference-like sound signature. The UM Miracle V2 features a 6 BA or balanced armature configuration: two high, two mid and two for low frequencies. These BAs are combined with a 3-way passive crossover configuration with a frequency range of 18 Hz to 19 kHz, a sensitivity of 114dB SPL and an impedance of 15.9 ohms. The company describes their Miracle V2 as the epitome of the Unique Melody house sound, offering astounding detail, clarity, accuracy, liveliness and with just the right amount of fun. With a neutral and natural sound characteristic, the Miracle V2 is great for audio professional, sound engineer, audiophiles and music lovers who want an accurate, un-colored and life-like sound signature. 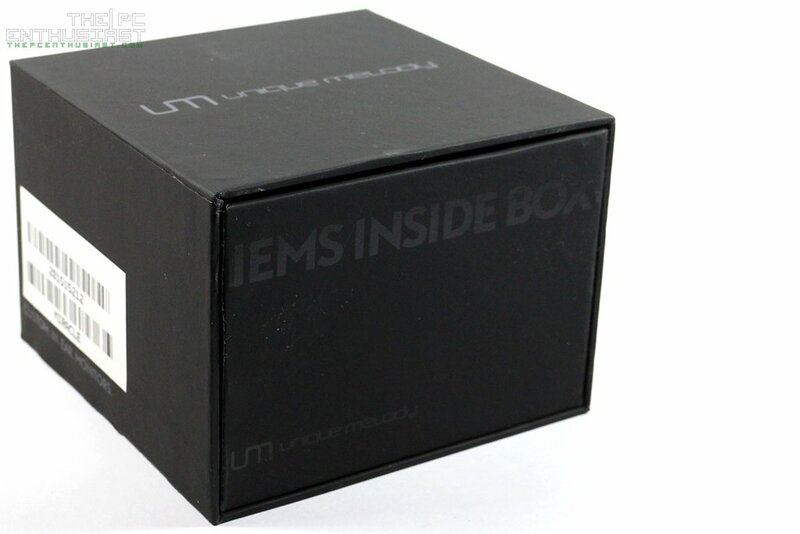 The Unique Melody Miracle V2 comes in a cube-like black box. Everything is black (except for the serial number sticker), even the letterings are black but have a glossy finish to separate and emphasize it from the flat black surface. You basically get a box within a box and the inner box slides out containing the Miracle V2 and its accessories. 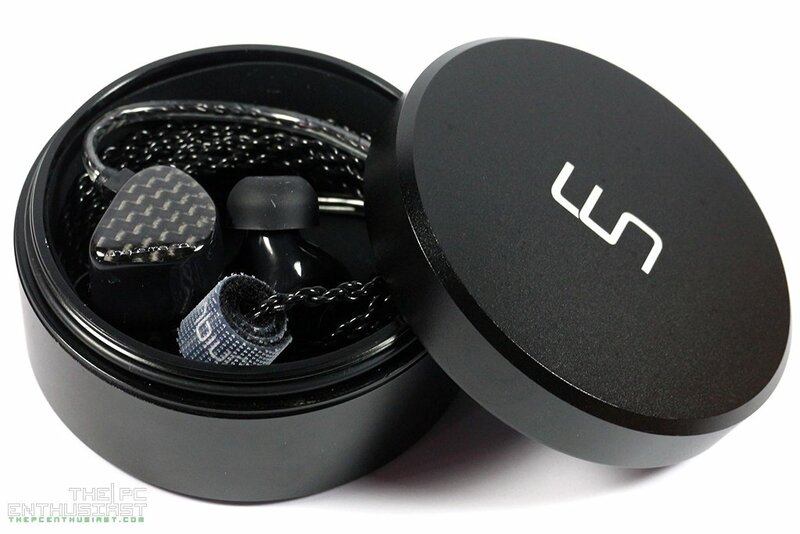 The package includes a small carrying pouch, a cleaning cloth, a cleaning tool, 3.5mm to 6.35mm adapter, flight adapter, 3 pairs of silicone tips (S, M, L) and 3 pairs of foam tips (S, M, L). The Miracle V2 is housed on what I think is an aluminum container, with soft silicone padding on the inner surface to protect the Miracle V2’s body from getting scratched. It’s a really sturdy case and I’d rather put the Miracle V2 inside this metal casing than use a soft pouch. I like it very much and you can easily transport the IEM with this. Put it on a bag with all your stuff and you don’t have to worry that your IEM will get damage from bumps, or even if you accidentally drop it. 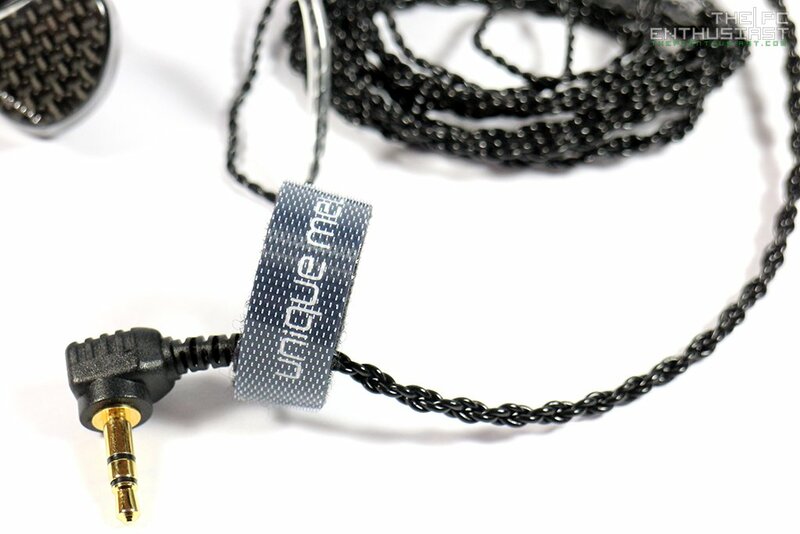 The UM Miracle V2 comes with a 4-feet 4 conductors/strands braided cable. The 4 conductors split into two, two for the left and two for the right channel. I’m not quite sure what type of copper wire they used but I think it’s a standard cable used for audio, not the high end ones though. Since the cable is detachable, you can easily replace it if ever the cable gets damage or if you prefer to use an aftermarket cable instead. And I believe that a detachable cable setup is a must for all high end (or even mid-range) in-ear monitors or headphones. There’s a low profile angled 3.5mm gold plated plug on the other end; and it’s nice to see Unique Melody adding a Velcro strap (with the company’s logo on it) to keep things tidy. On the driver side, like most IEMs specially custom one, the cable wraps around on top of your ear. I prefer this kind of setup since the IEM is securely placed on your ears and doesn’t fall of easy, unlike the usual setup where the cable hangs from the IEM or earphone. The Miracle V2’s face plate features a carbon fiber design with the company’s name on it, finished with a clear glossy acrylic surface. It looks very nice in person; unfortunately the picture above doesn’t even give justice to its beauty. But believe me, it looks great on actual specially when looked from different angles; no wonder many opt for a carbon fiber design. There’s a better close up photo on the next page. 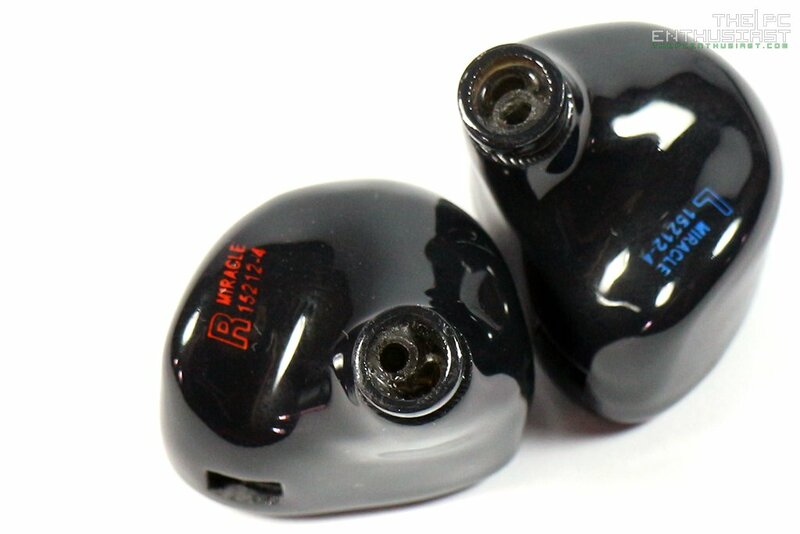 Unique Melody uses a 2-pin connector for their IEMs and you can choose to have the socket recessed or flat. Recessed meaning the socket goes a little bit deeper into a hole, rather than the holes for the 2-pins are exposed on the surfaced of the IEM. As you can see from the photo above, the Miracle V2 I got here has a recessed socket. 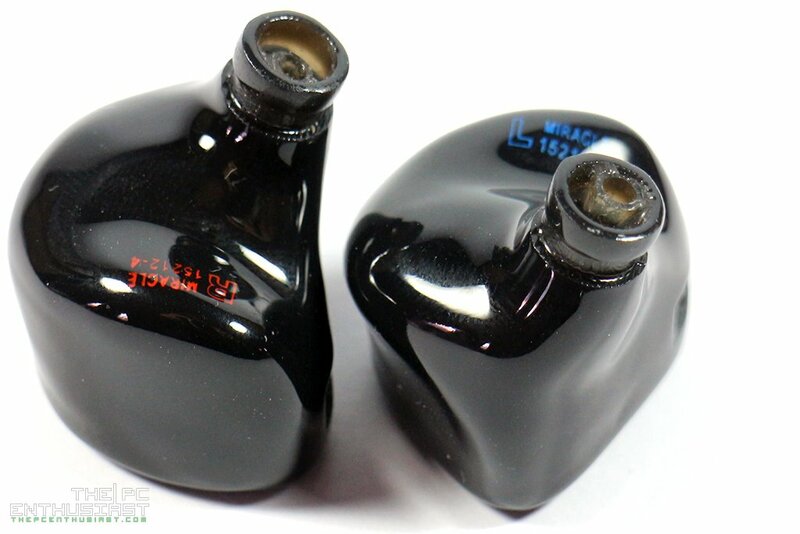 There are some IEM manufacturers who don’t offer a recessed type of socket, but if ever there’s an option I would recommend that you opt for the recessed one as it protects the 2 pin connectors from getting damaged or bent easily. The only reason I can think of to opt for a flat socket is if you are or will be using an aftermarket cable that doesn’t support recessed sockets. On the other side, the right channel has a blue letter “R” and the left one has an “L”. Both channels have a tiny “Miracle” printed on it together with its serial/batch number. Looking at the nozzle, you can see that there are two small tubes inside. The two small tubes are then connected to the drivers hidden inside the shell. I don’t know which tube is connected to which BA driver, but the sound comes out from those tubes. This is pretty much a standard setup with in-ear monitors, in case this is your first time to encounter one. Continue to the next page for my sound impression and listening experience.